Hi guys! I'm back again to show you a shade from Leesha's Lacquer that will be available tomorrow (Feb. 27th) at 6 PM CST in their website. This is a One of a Kind (OOAK) polish that will be made in a 16 oz batch and will be available in full-size bottles only for one time only. When they're gone, they're gone forever. 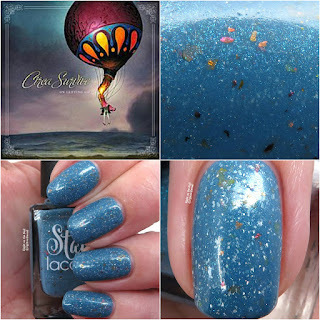 Leesha's Lacquer is in the second year of this OOAK series and this month's polish is called Hypnotized. Yes, you will need a magnet to get the effect. If you don't have one, lots of brands or stockists carry them. For example, check out Lantern and Wren for a wide variety of types with good prices. To get the effect, I first applied my base coats and the first coat like normal. I then applied a thicker second coat to a single nail and quickly placed the magnet as close to my nail as possible for at least 45 seconds (or until my hand got tired) before moving on to the next nail. After all nails had 2 coats, I applied a quick-dry topcoat to each nail and placed the magnet over the nail again for about 15 seconds. It sounds like a long process, but it goes pretty fast once you get the hang of it. If you love this one as much as I do, stop by the Leesha's Lacquer website to pick it up for just $10. There will only be 32 bottles if this made, so don't dally. You can find out more about Leesha's Lacquer on their website, Facebook Group, and Instagram pages. Hi guys! For some reason I keep thinking today's Wednesday. I guess I'm just really excited for the March Polish Pickup to begin. This month I was given 3 polishes for review, and I figured it'd be easier to go ahead and post all of them in 1 post than to divide them up into multiple days. Let me know if you like it this way better, or if you want me to break the posts up. This month's inspiration is Album Covers which is something I was really excited to see. Everyone loves music, and I was interested to see what albums I should be checking out. PPU start this Friday at 11:00 AM ET and goes through 11:59 PM ET Monday night. Let's go ahead and take a look at this month's offering. 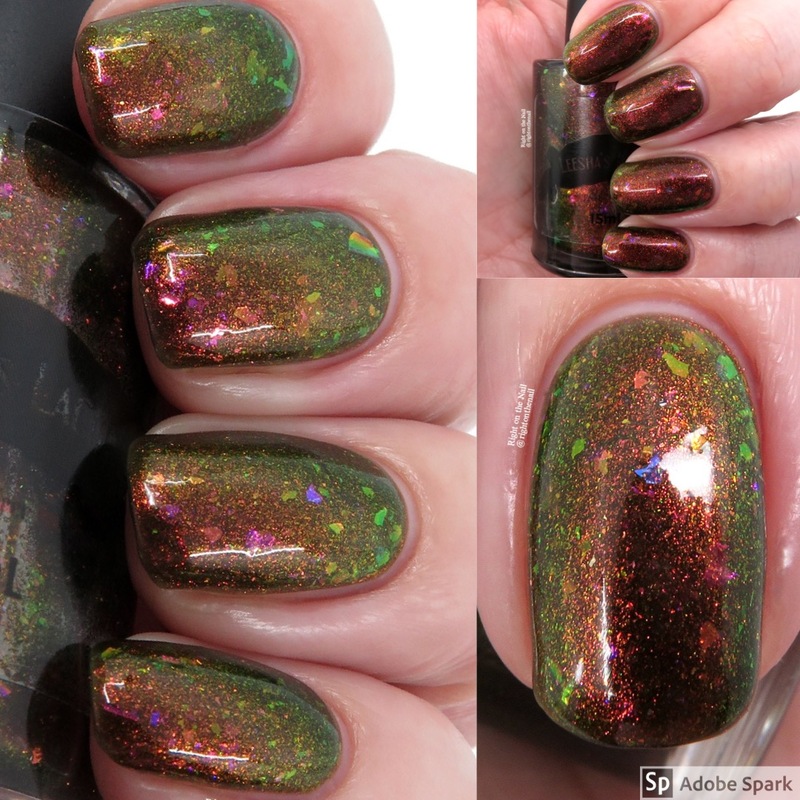 Up first is a new brand to the blog and that's Leesha's Lacquer. This is Whatever which is a black base with tons of aurora shimmer that shifts between red/orange/green with UCC flakes. Yes, it is this shifty in real life. I know the aurora shimmer is quite expensive, so this one is a really good deal. Even though it's a black base, you can't tell because of the shimmer and flakes. I used 2 thicker coats for this one, but you may need 3 if you use thin ones. The formula was smooth, and it dried with no texture. I really like AJR! I haven't listened to the whole album, but my jam is "Burn the House Down" which I hear on SiriusXM's Alt Nation. 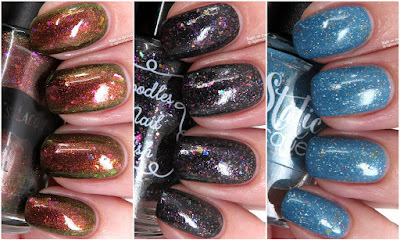 Noodles Nail Polish's My Favorite Color is You is a blackened indigo crelly base with violet/gold shimmer, rainbow flakies, copper/aqua/lavender glitters, and violet/green/gold color shifting flakes. In other words, this is full of rainbow glitter and flakies. I used 2 normal coats for my photos, and it applied easily. 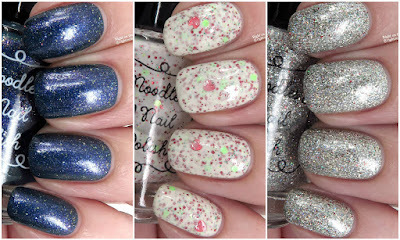 The glitter gives the polish some texture, so make sure to use a thicker topcoat to smooth it all out. Static Lacquer's shade On Letting Go is a medium dusty blue base with teal shimmer, silver holographic flakes, and green to magenta UCC flakes. The queen of the holographic flakes strikes again! This one also applied flawlessly in just 2 coats and dried with no texture. All 3 of these are vastly different, and I love them all. One thing they have in common is flakies, and you know my feelings on those. The site goes live on March 1st and goes through March 4th, so you do have a few days to get your orders in. All of these have caps, so if you're interested in any of them, I wouldn't delay purchasing them just in case. You can learn more about PPU on their Facebook page and website. Hi guys! Happy Saturday-I hope your weekend is going well so far. It's been raining cats and dogs here this week, and today is no different. So.much.rain. Other than that I've just been busy at work. Another pen show is coming up soon so I'll be working 7 days straight. Tonight I've got the Zoya spring offering which is a 6-piece collection featuring 4 cremes, 1 pearlescent shade, and one flakie glitter (more on that soon). Truth be told, my favorite polishes from Zoya tend to be their spring and fall collections. That's not to say I dislike their summer and winter sets at all. Zoya has been my go-to mainstream brand for years, and that hasn't changed. Instead of doing the same reds and pinks (I'm looking at you, OPI), they are continually bringing fresh colors and finishes. Shall we dive in? Hi guys! It was a quiet week on the blog last week, but things should be ramping up again soon. I've got the Zoya Spring Collection finished as well as a bunch of March's PPU shades to show you very soon. My father-in-law was in town for a few days, other than that, I've just been busy working. I hope all is well in your neck of the woods. As you guys know, I've been blogging for Noodles Nail Polish for a bit over a year. The colors I have to share with you tonight are ones that I purchased myself during their most recent sale. I used a peel-off basecoat for all of the polishes to make removal easier since all of these are glitter heavy. If you want to keep the polish on longer, I recommend using the foil method. To smooth out the glitters, try to use a thicker topcoat, or 2 coats of a thinner one. With that said, shall we get a closer look at these? Hi guys! I'm back with a Polish Pickup shade that I purchased back in January. Unfortunately this is no longer available, but you should definitely check out a few other Painted Polish flakie crellies like Squash and Sleet or Foliage and Flannel which are in the same vein. I really need to add these 2 to my collection because I'm a flakie addict. This is going to be short and sweet because you cant get this. You never know, Lexi may bring this back when they have Polish Pickup Rewind (which I'm assuming they'll do again since it was so popular). Luna is inspired by the Roman Moon Goddess and is a medium crelly base with tons of cobalt blue color-shifting flakes. Obviously the star of the show are those contrasting flakes. It applied like a dream in 2 coats, and I had no issues with the flakes sticking up on the nail at all. 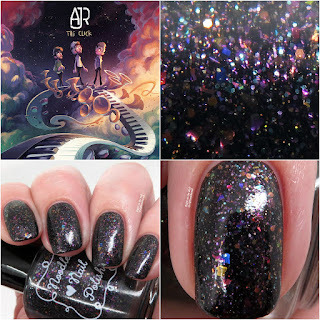 I wish I had this to show you before the Jan. PPU because I would have told you to instantly buy this polish. It had a cap of 400 bottles, and it sold out before the weekend was up. Yes, it was that popular. Head on over to the Painted Polish webpage, Instagram, or Facebook pages for more information. "My name is Jessica Bumgardner. I currently work full-time as a nurse, but I am putting a lot of time and energy into launching my new business. I have a passion for helping others, especially in times of trouble. I also love helping others find the beauty in themselves, and, of course, nail polish. I will strive to release a quality product with reasonable prices and innovative colors. My goal is always to provide top notch customer service. 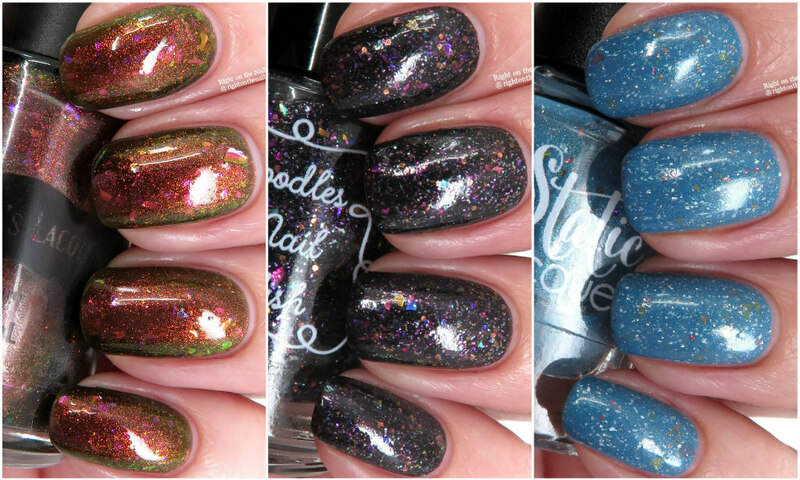 MLF Lacquer is a brand new small business ran by one person." The debut collection, The Lovers Collection, is a 4-piece set with names inspired by the Taylor Swift song, "You Are in Love." Each polish is vegan and 5-Free, and retails for $9 each, or $35 for the set. These pictures are hot off the presses, so let's get a closer look.